Hey Nevada, guess what!? We’re bringing you two more restaurants, for a total of three in the Las Vegas area in the next two years! We’ll have two locations in Henderson and one in Las Vegas. And because we can’t wait to become a part of your communities, we are planning to build 8-10 restaurants in the next five years! We'll have more to share soon, but until then, get to know us by taking a peek behind the scenes and visit the News section of thechickenwire.chick-fil-a.com. Atlanta-based Chick-fil-A, Inc. is a family owned and privately held restaurant company devoted to serving the local communities in which its restaurants operate. Known for its original chicken sandwich and unique franchise model, Chick-fil-A serves freshly prepared food in more than 1,900 restaurants in 42 states and Washington, D.C. Founded in the early 1960s by S. Truett Cathy, Chick-fil-A produced sales of nearly $6 billion in 2014, which marked 47 consecutive years of sales growth. Chick-fil-A was recognized in 2015 as the only restaurant named to 24/7 Wall Street’s “Customer Service Hall of Fame.” In 2014, Chick-fil-A was named one of America’s “Top 20 Most Admired Brands” by The Harris Poll and “Top Fast Food Chicken Chain” by Consumer Reports. 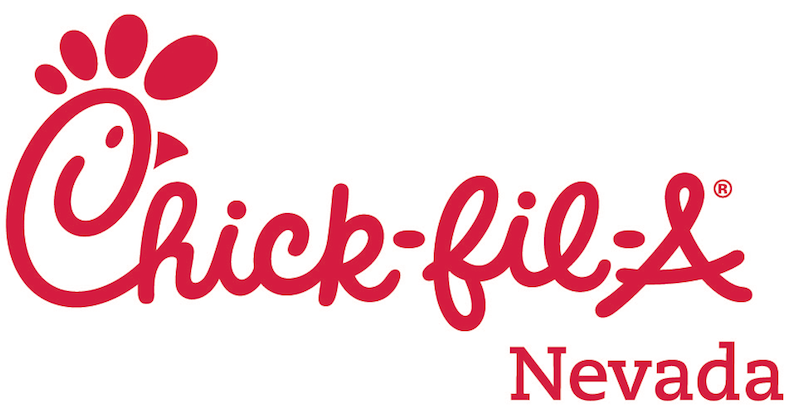 More information on Chick-fil-A is available on the chain’s website located at www.chick-fil-a.com. Chick-fil-A, Inc. announced today the grand opening date of its third restaurant in the Las Vegas area. The restaurant, located at 2477 S. Rancho Drive in Las Vegas is set to open on March 30. The restaurant will be independently owned and operated by local resident Cole Donahoo and will be open from 6:30 a.m. to 10 p.m., Monday through Saturday. Chick-fil-A, Inc. has selected Cole Donahoo as the local franchise owner of the third Las Vegas-area Chick-fil-A restaurant. Donahoo will oversee day-to-day operations of the business, employing more than 100 full- and part-time team members, cultivating relationships with local schools, organizations and neighboring businesses, and serving guests.